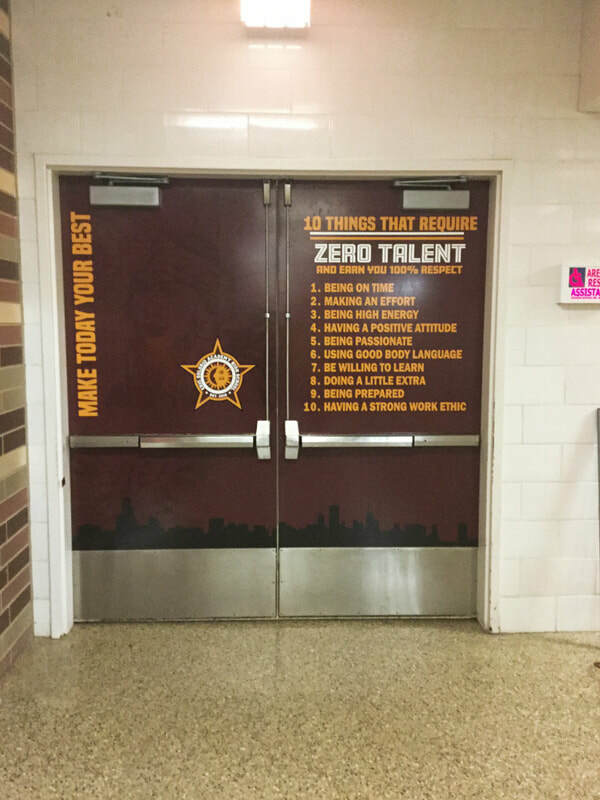 Doors are an underutilized marketing surface that people walk through every day. 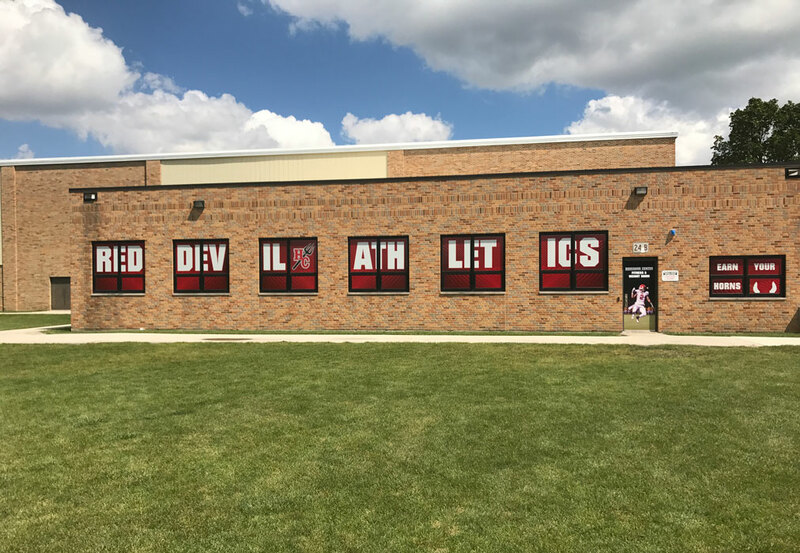 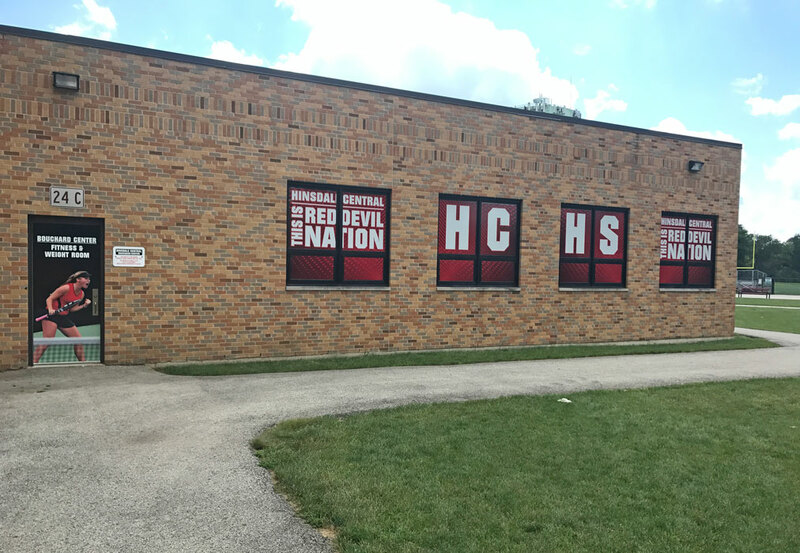 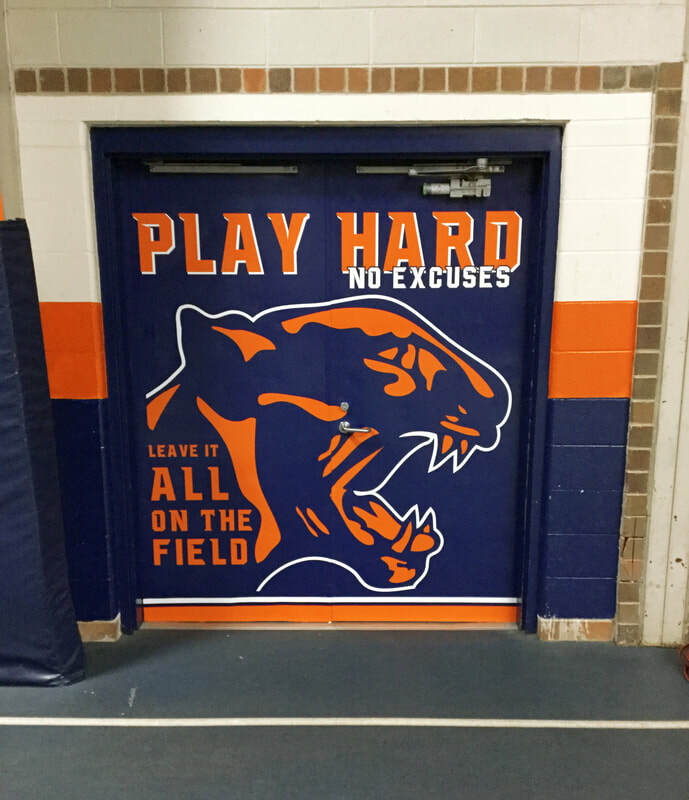 Take advantage of that blank space by covering it with your school branding, colors, logo or message! 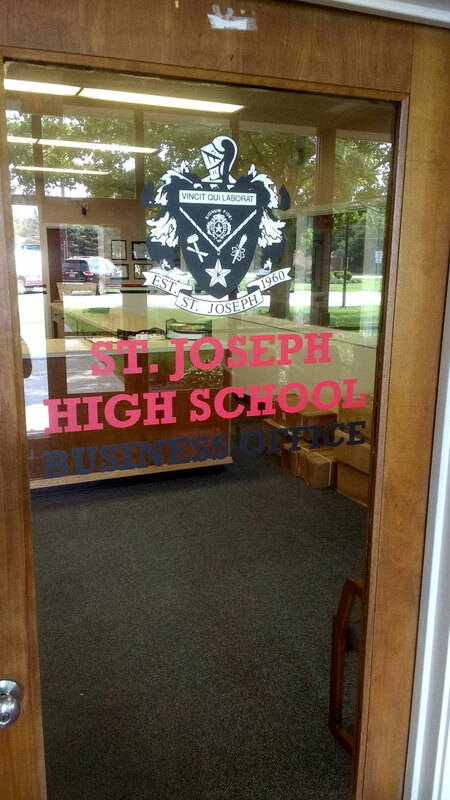 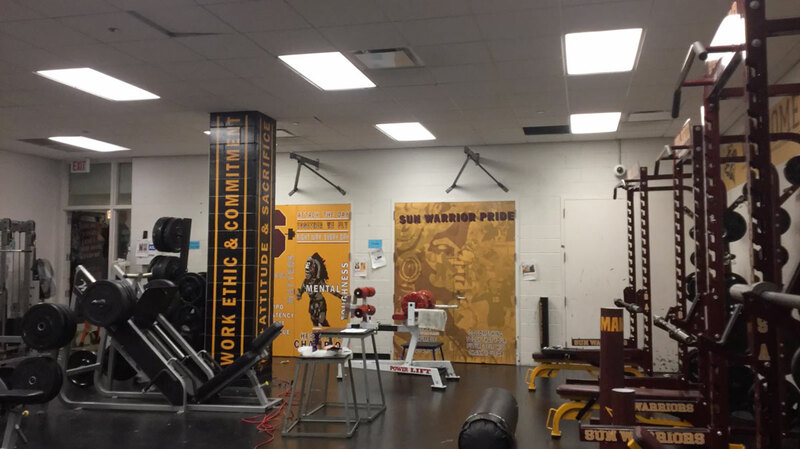 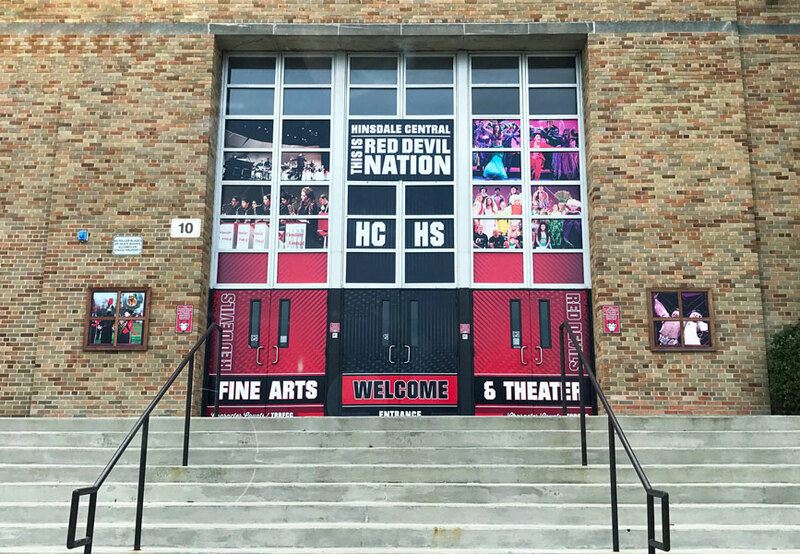 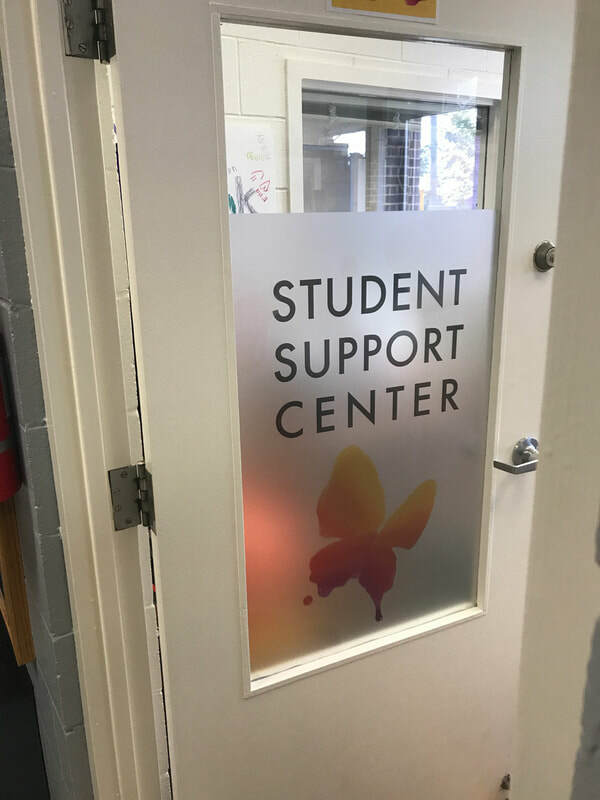 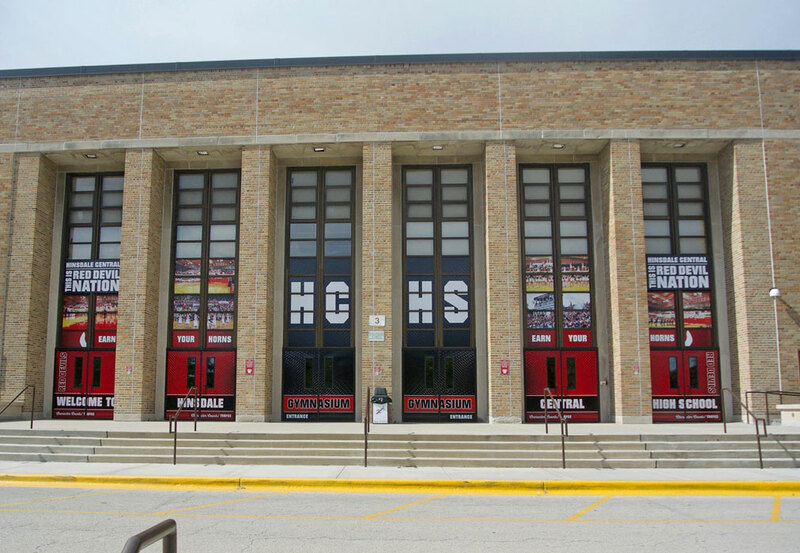 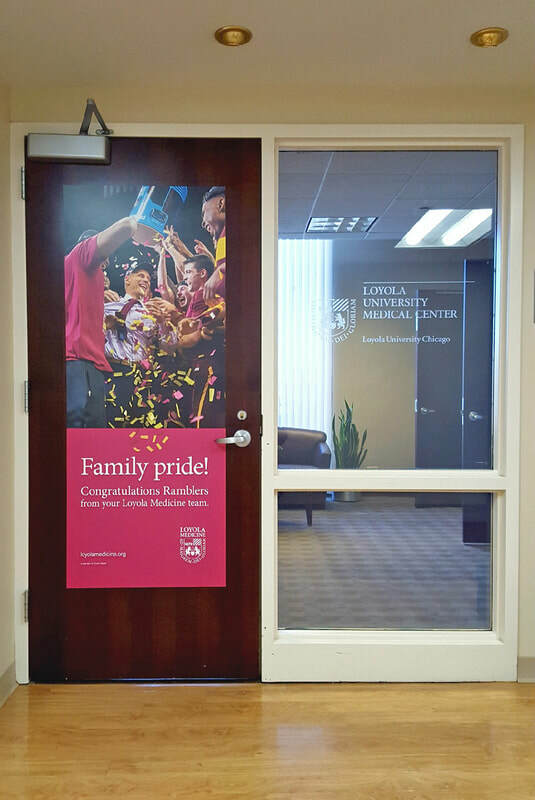 Welcome all visitors and students that walk through your doors with vibrant graphics. 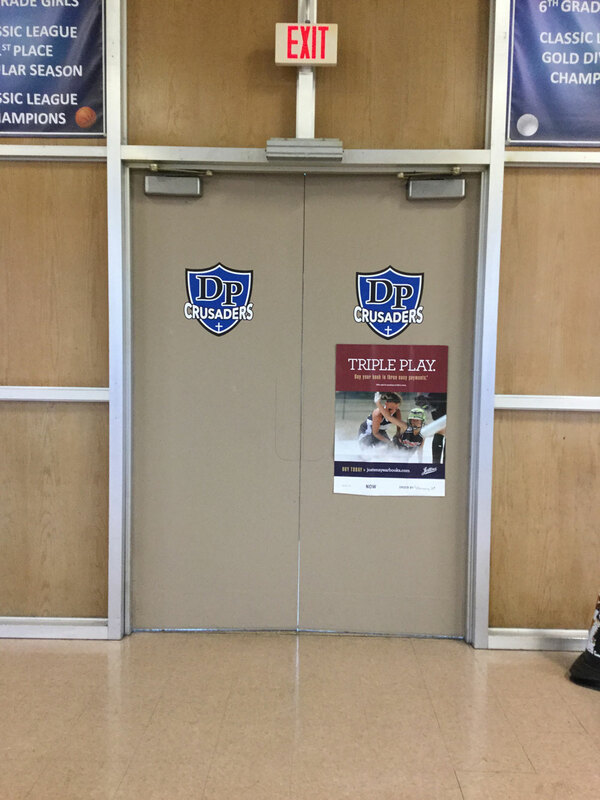 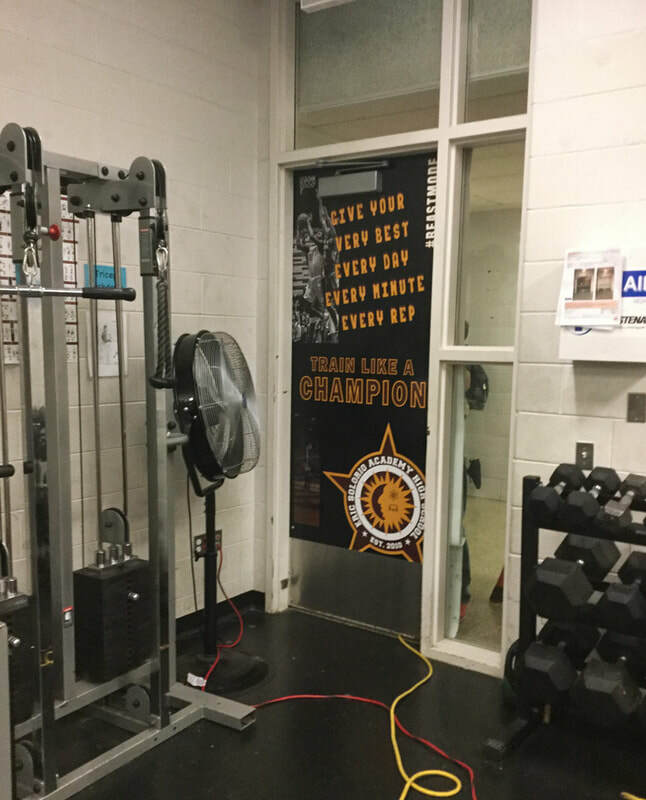 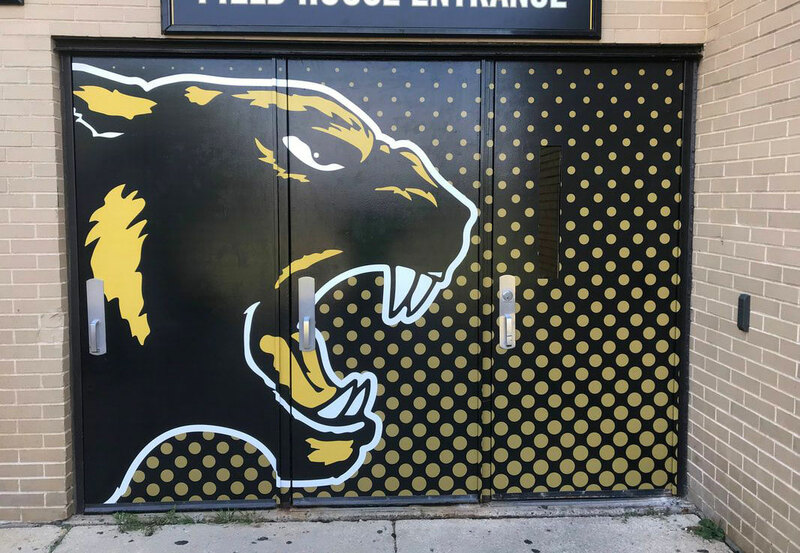 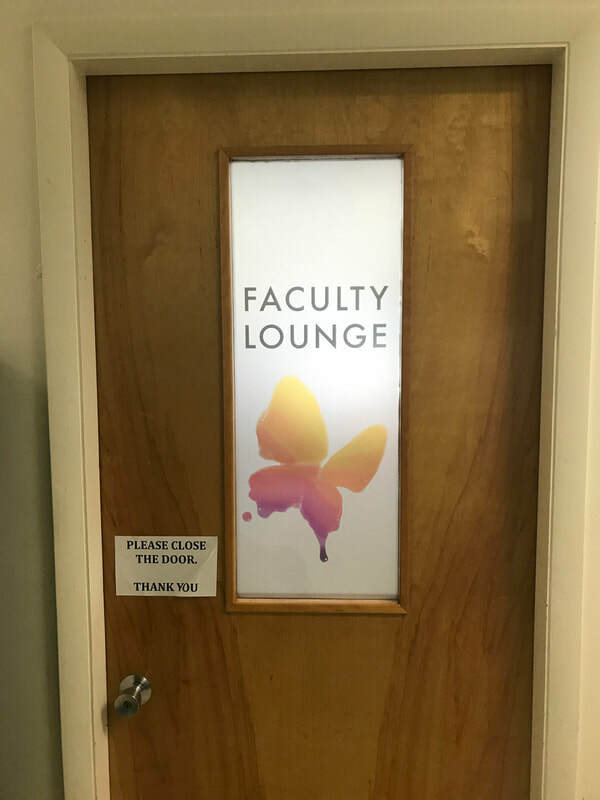 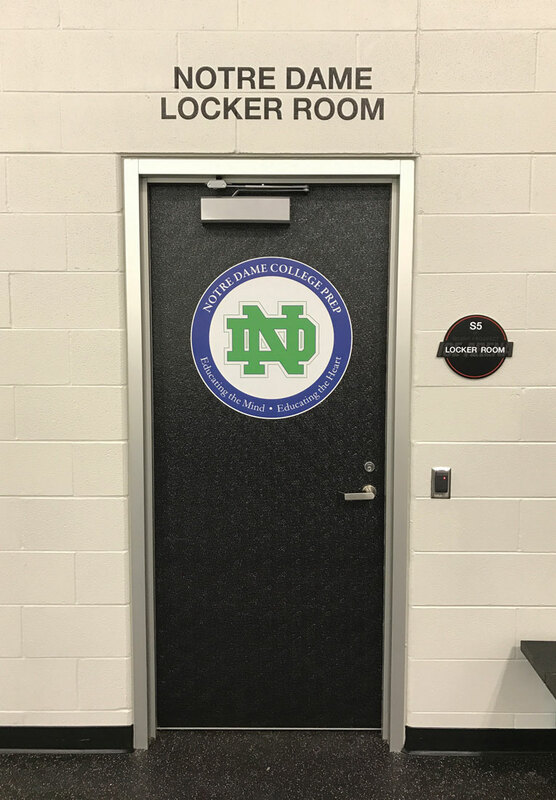 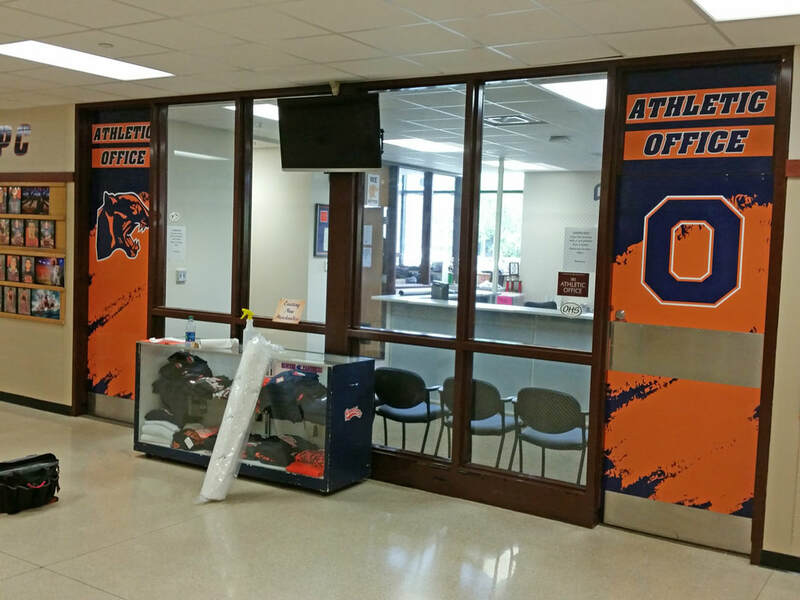 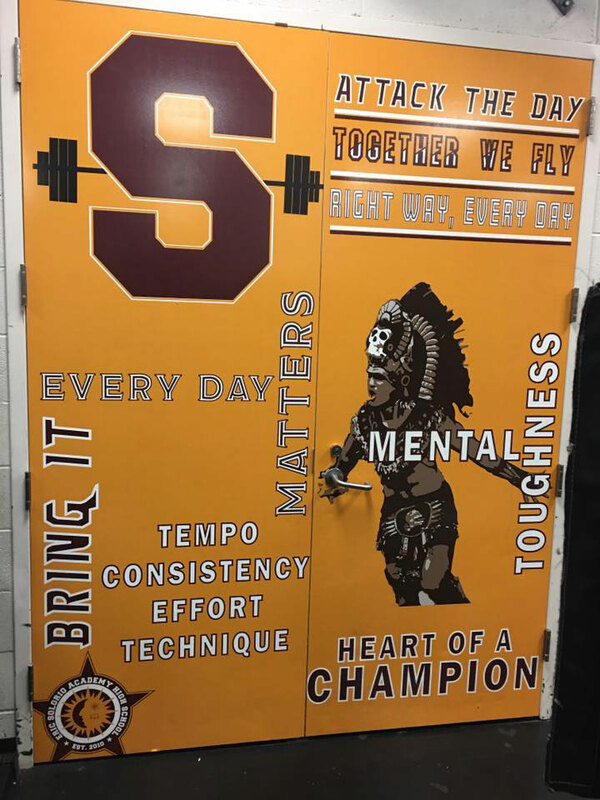 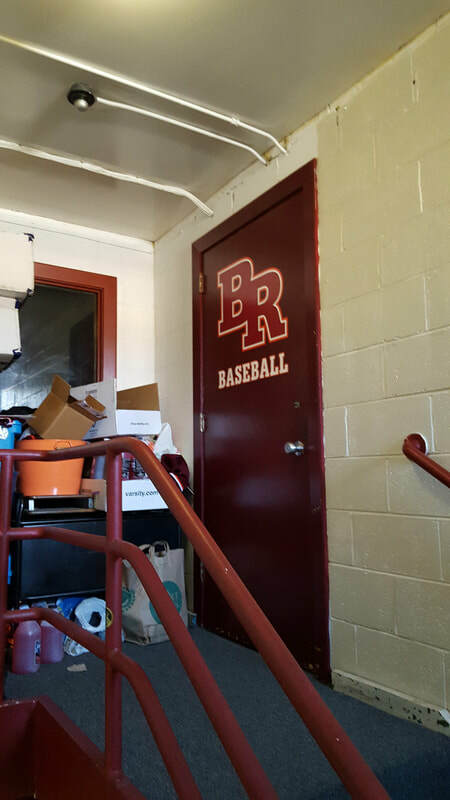 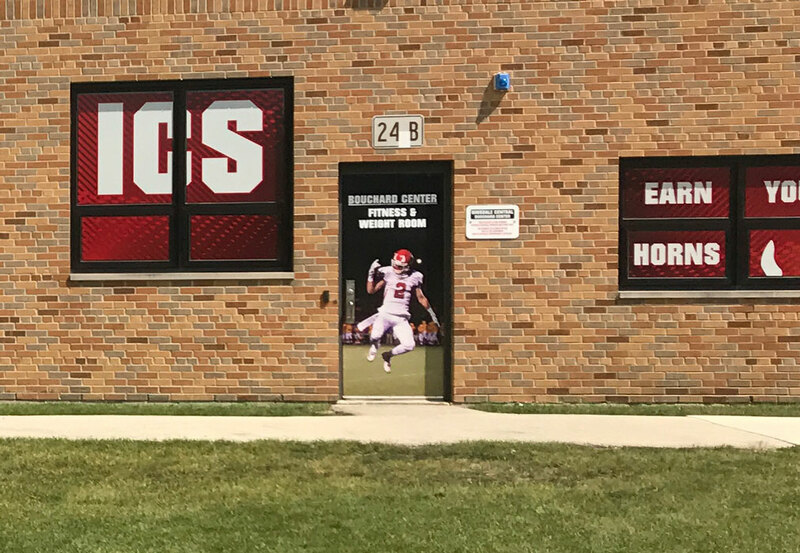 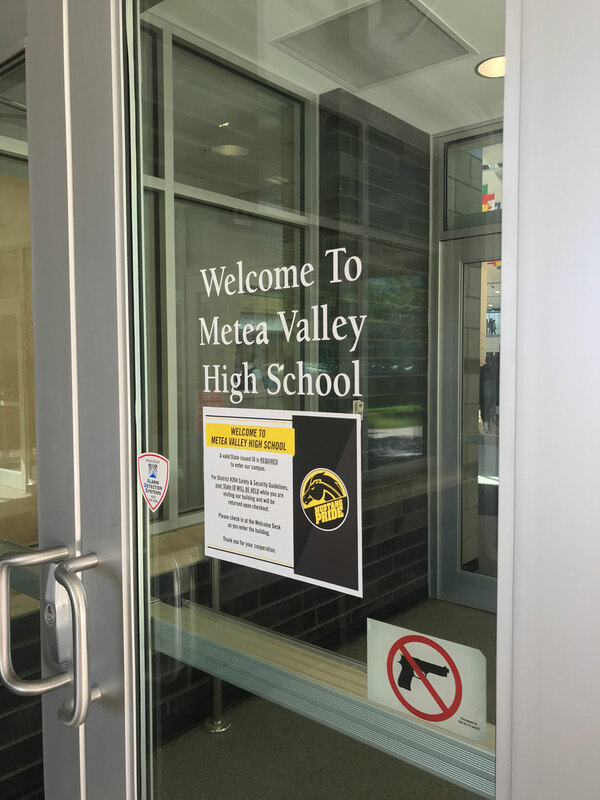 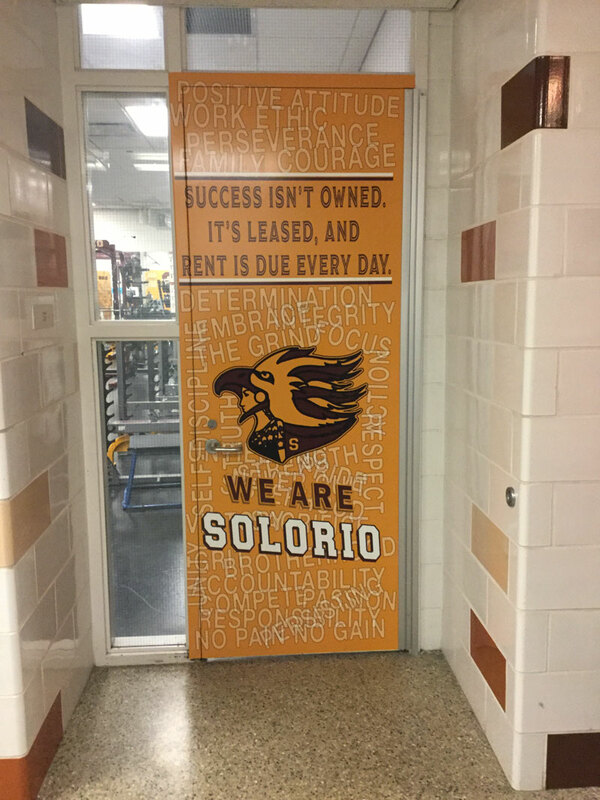 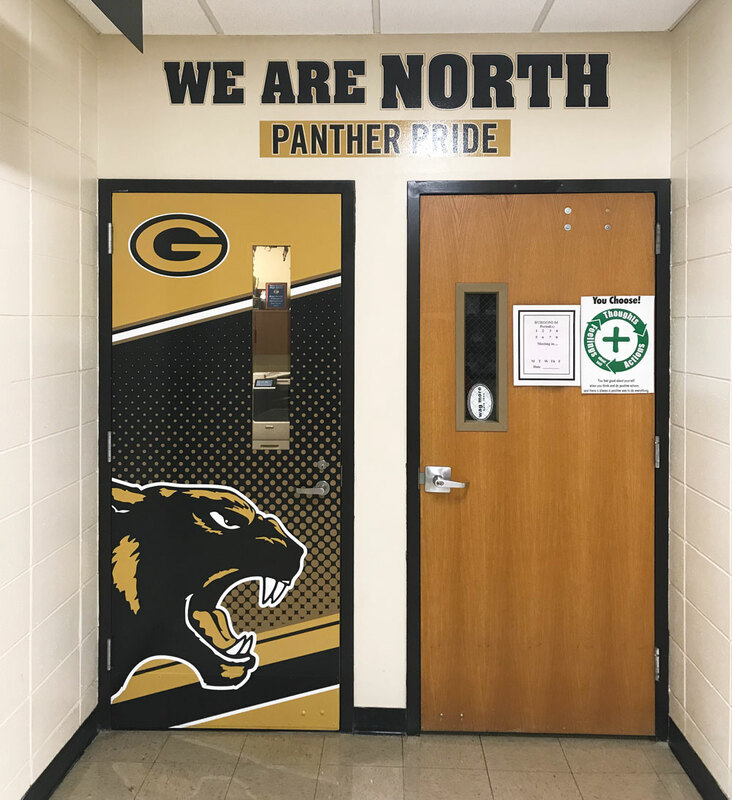 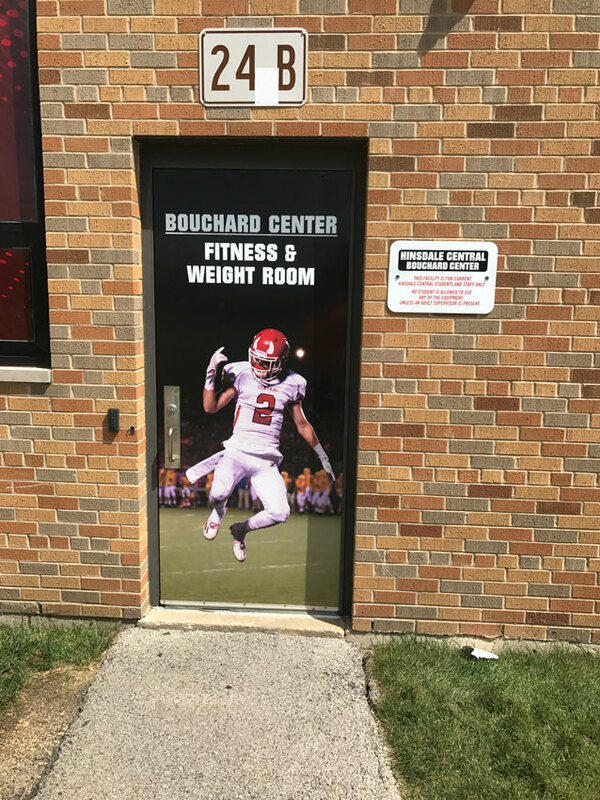 All interior doors are able to wrap with photos, welcome signage, logos, and more! 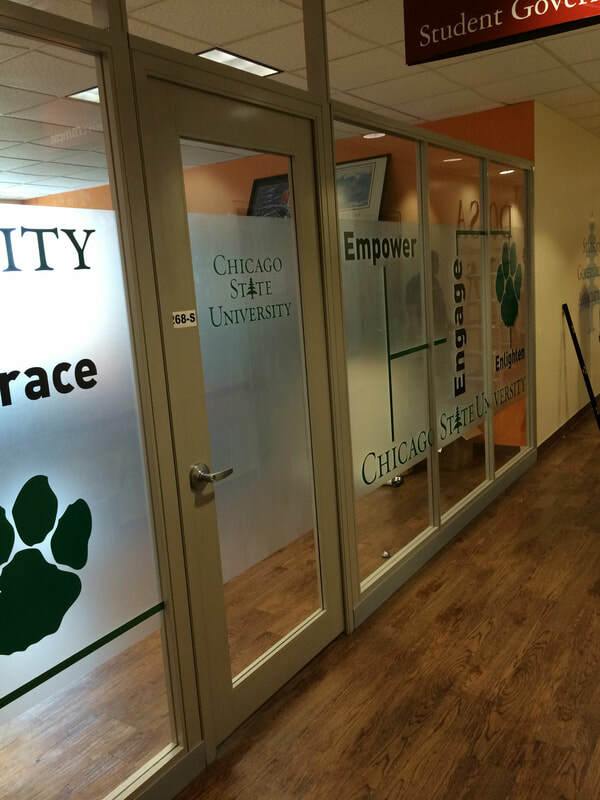 Give a frosted appearance to any glass window with etched privacy film. 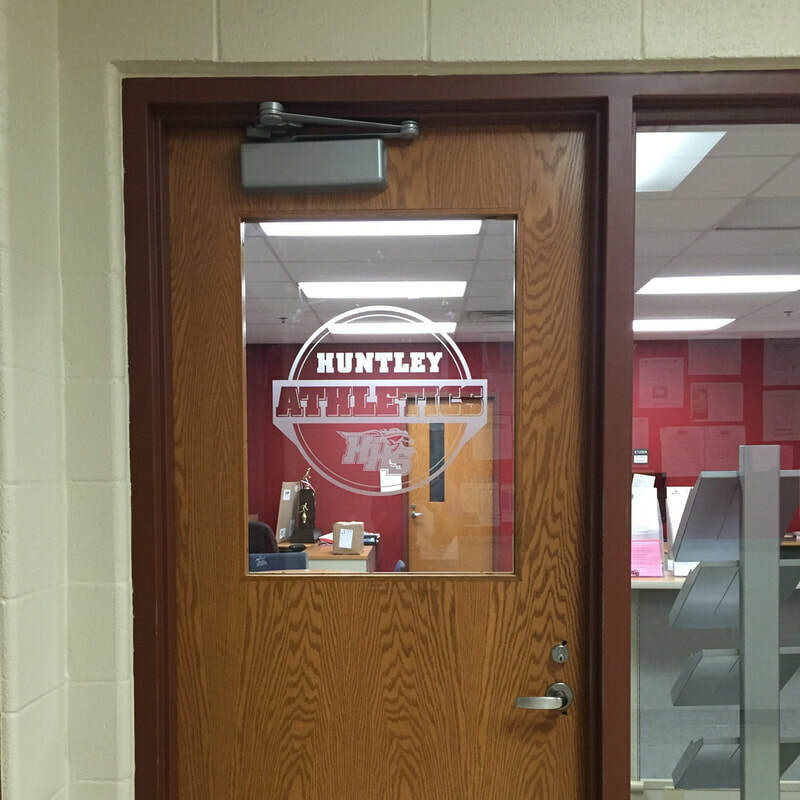 This vinyl can be cut to any size or shape, and it can even be printed in color. 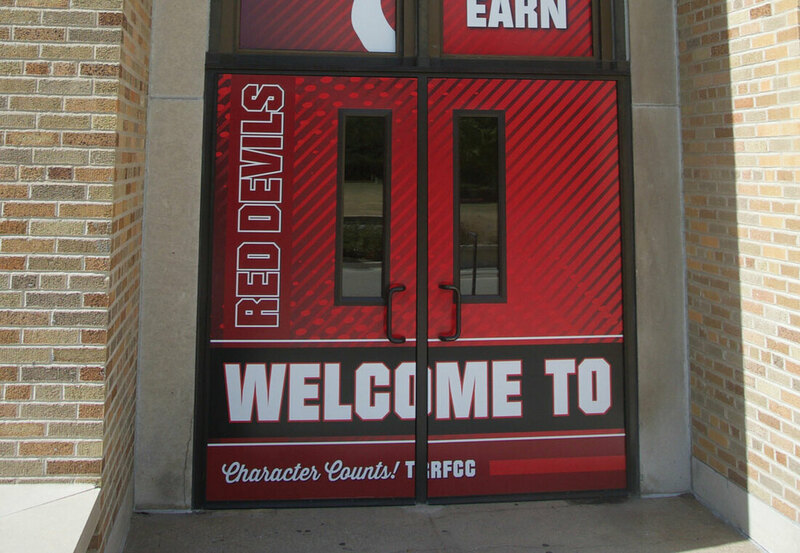 Apply opaque vinyl graphics over the etch for added dimension and dramatic effect. 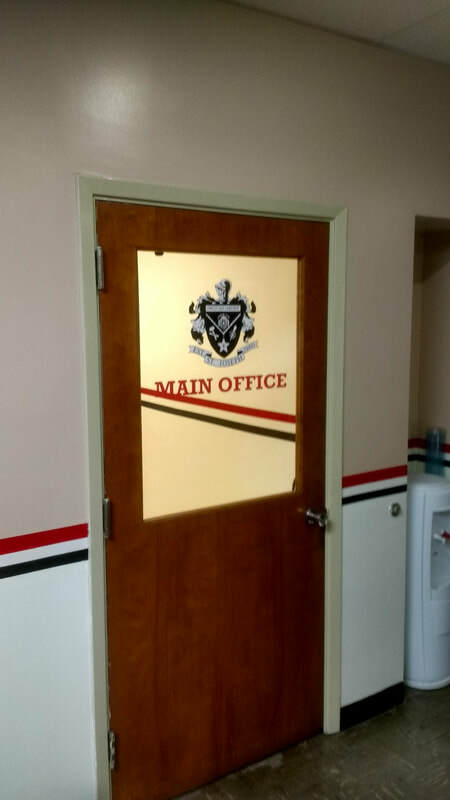 Cut vinyl decals are exactly what you need to display your logo or design in the cleanest way possible. 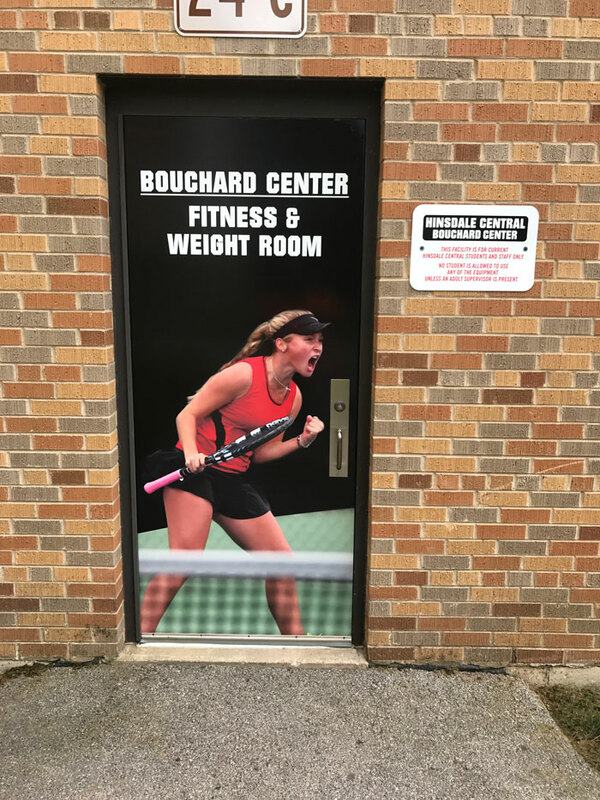 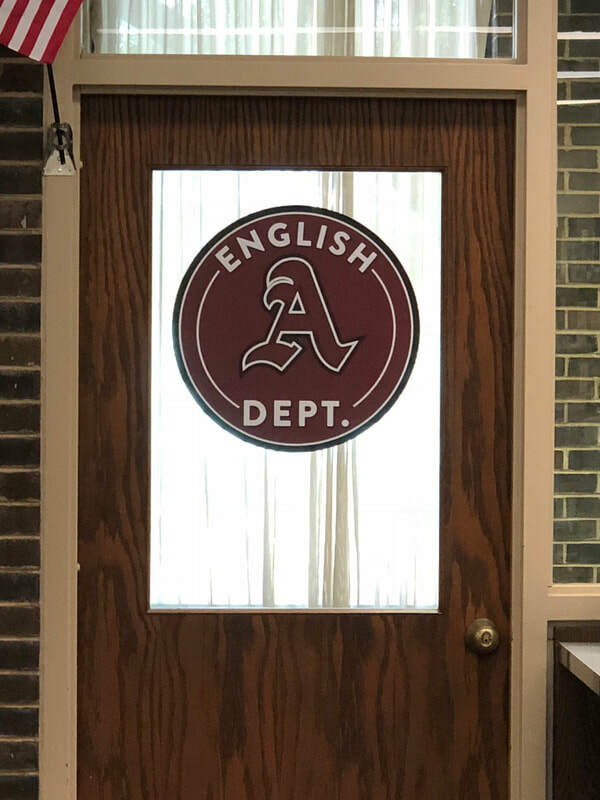 This type of graphic is custom cut to the shape of your artwork and applied directly to your door. 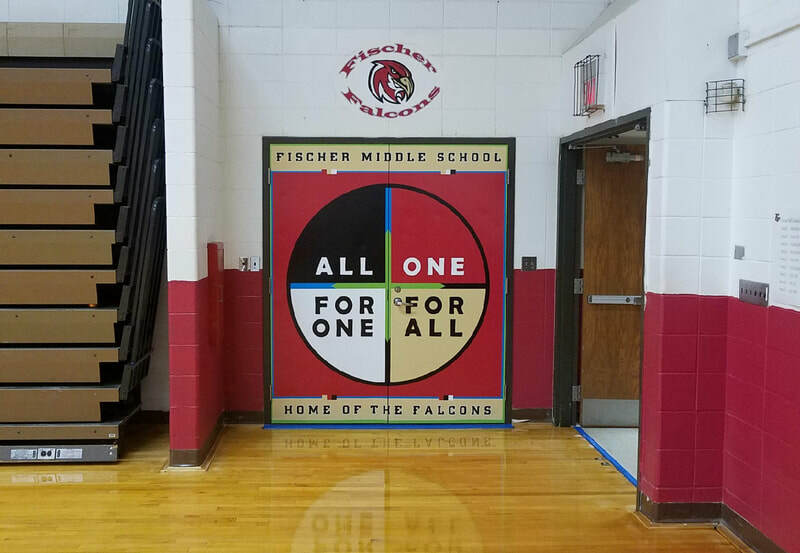 After installation, only the clean-cut graphic with no visible background is left on your surface.